Rada Cutlery Fundraiser | Dreaming of a Baby! We will be having a Rada Cutlery Fundraising… Guess what this one is online! Purchase these awesome American made products from the convenience of your home and have them shipped directly to you! 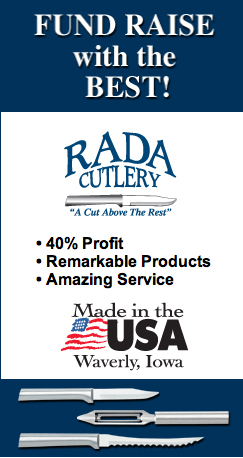 Rada Cutlery has earned our reputation for remarkable kitchen knives and utensils. People appreciate how good knives make cooking easier and more enjoyable. Word of mouth has always been our best advertising!